Caroline Camden Lewis. L’Orange. Acrylic on canvas panel. 11″ x 14.” (2013). SOLD to private collector. Set against a bright orange sky comes an enchanted forest of flora and fauna, shapes and strokes. 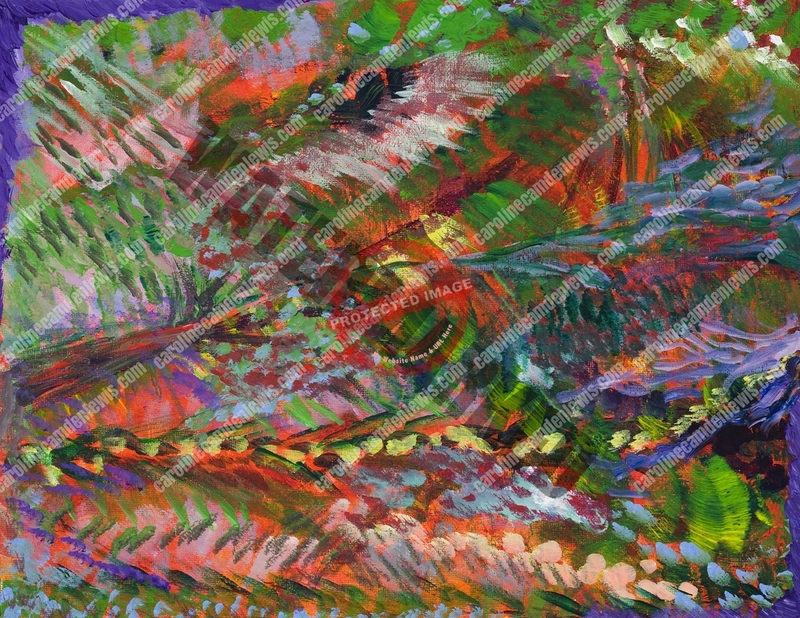 A tropical paradise or an abstract vision of jubilance? Or perhaps both?